Roughly 10 years ago, the designer behind Trendy Singh, had a close friend pass away. In the wake of her friend’s death, Nguyen began to search for enlightenment, answers, and connection through exploring different religions. Nguyen visited both Buddhist and Hindu temples, yet it wasn’t until a friend took her to a Gurdwara — a Sikh place of worship — that she discovered a faith that truly resonated with her. Nguyen adds that the experience of exploring different religions was invaluable both professionally and personally. While the teachings and values Nguyen learned through attending Sikh services — such as equality, selflessness, and sacrifice — lingered in her mind, these ideologies were reinforced through her work volunteering with the Sikh Youth Group. Nguyen, 20 years old at the time, worked with Sikh youth to produce school plays, or volunteer at soup kitchens and the Mustard Seed — an experience that fed her inspiration to start The Trendy Singh. 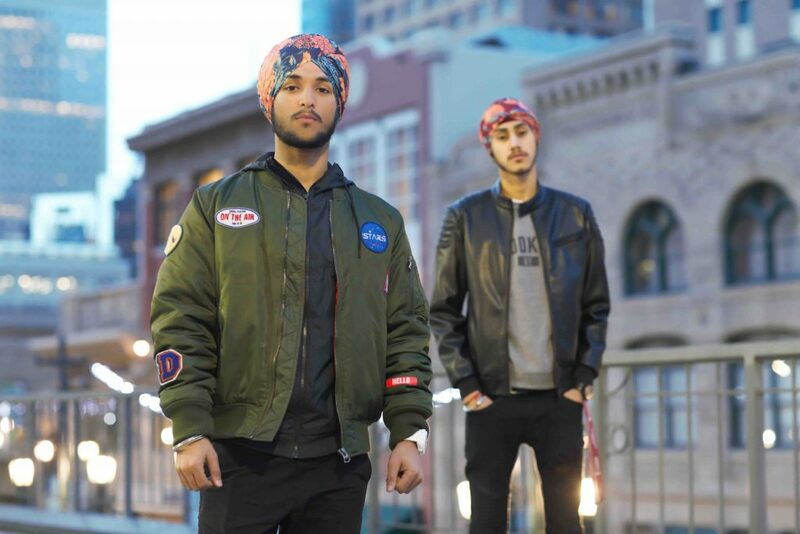 Working alongside her team, including Sahajvir Randhawa, Anoop Brar, Sandeep Sran, Jasmeet Nijjer and Kris Hans, Nguyen has created a men’s apparel company focused on designing thoughtful and symbolically patterned dastars, or turbans. The brand launched in July, 2017. Nguyen adds she hopes her designs — which are inspired by the Sikh faith and its values — will help break down cultural and religious barriers by sparking conversations. “There are so many misconceptions and racism towards Sikhs, especially after 9/11. People associate them with terrorists and that type of thing,” says Nguyen. She adds that, for Sikhs, the turban has great meaning to it as it symbolizes equality, and that meaning can be applied to all faiths. Trendy Singh offers a growing assortment of symbolically patterned dastars, or turbans. While their company is still in its infancy, Nguyen has already sold-out of two prints; the proceeds of which go towards non-profit organizations such as Khalsa Aid, Sikh Relief, Nanak Naam and the World Sikh Organization.